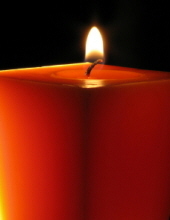 Mr. Andrew A. Gruca, age 82 of Roopville, Georgia, passed away Saturday, February 9, 2019. He was born August 2, 1936 in Monmouth County, New Jersey, the son of the late John Gruca and the late Agnes Driaco Gruca. He was retired from DuPont with thirty years of service. He is survived by his wife, Mrs. Joan Danser Gruca of Roopville, Georgia. In keeping with his wishes, the body will be cremated and no services are planned at this time. Messages of condolence may be sent to the family at www.martin-hightower.com. Martin & Hightower Heritage Chapel has charge of the arrangements. To send flowers or a remembrance gift to the family of Andrew A. Gruca, please visit our Tribute Store. "Email Address" would like to share the life celebration of Andrew A. Gruca. Click on the "link" to go to share a favorite memory or leave a condolence message for the family.